Raymond Brown sell a Premium BS Top Soil and Screened Soil which are available for delivery from five tonnes up or collection by commercial vehicles within Hampshire, Oxfordshire and Berkshire. Our premium quality top soil is an 80:20 blend of selected soil and Pas100 organic matter, blended and screened to 10mm. The end result produces a very high quality enriched top soil which is easy to use and maintain, as it contains a mature peat-free compost. It is used for landscaping top soil, turfing top soil and top soil planting aspirations. 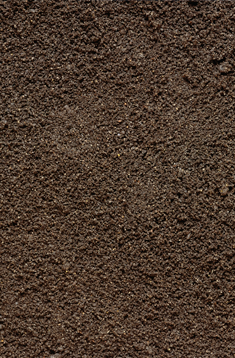 Our premium quality top soil is tested to a ‘BS3882:2007 quality standard’ and a copy of the test analysis is available on request. We also offer a more financially effective 10mm screened soil which has been put through a screening process, removing any stones, weeds and other material that are 10mm or above. It is commonly used in large areas of landscaping, flower beds and rockeries. To arrange delivery, please call us on 023 8027 3750.